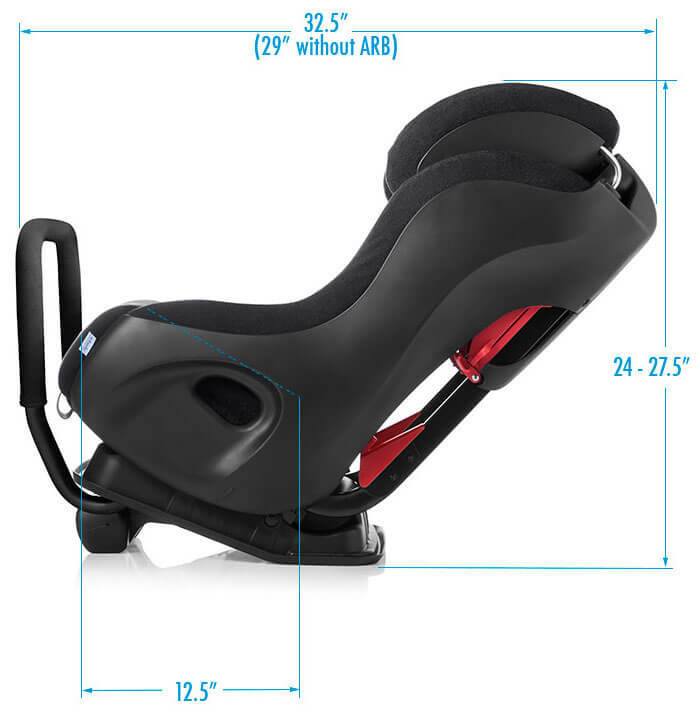 The Clek Fllo is a compact convertible car seat that is complete with industry-leading safety features like extended rear-facing use up to 40 lb., a steel anti-rebound bar and Clek's patented Energy-Absorbing Crumple Technology. The Clek Fllo offers Advanced Side Impact protection with deep side wings, energy-absorbing foam layers, and an adjustable structural headrest. At less than 17 inches wide, Fllo conveniently fits 3-across in most vehicles. And, Fllo is tailored in GREENGUARD Select Certified Crypton Super Fabrics, which provide permanent protection against stains, moisture and odor-causing bacteria; and are free of brominated and chlorinated flame retardants. The Clek Fllo convertible car seat’s compact design provides space that makes 3-across seating possible. 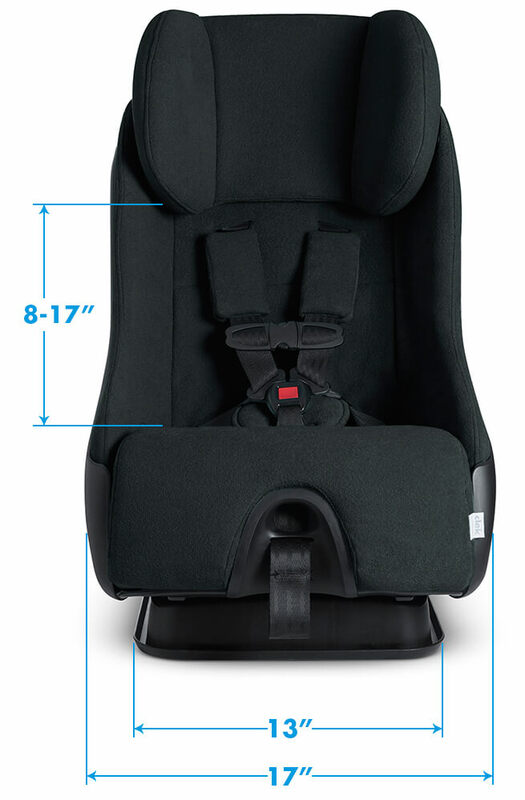 With a best-in-class car seat width under 17 inches, the compact design fits those difficult center seating positions. The Fllo convertible car seat is designed to international best practices for extended rear-facing use up to 40 pounds, and comes standard with a steel anti-rebound for enhanced rear-facing safety performance. The Clek Fllo convertible car seat is tailored in GREENGUARD Select Certified Crypton Super Fabrics, which provide PERMANENT protection against stains, moisture and odor-causing bacteria; and are free of brominated and chlorinated flame retardants. Add on the Clek Fabric Cleaning + Stain remover Kit to ensure a clean ride every time. Car seat can be recycled when your child has outgrown it through Clek’s car seat recycling program. Every Clek convertible car seat has a metal reinforced substructure with inner and outer energy absorbing foam layers and an adjustable structural headrest with deep side wings for maximum side impact protection. 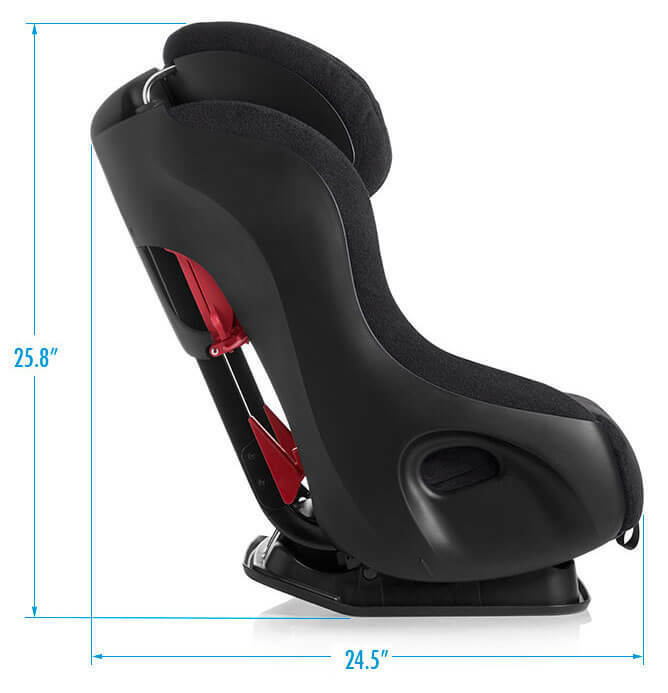 Our unique EACT (Energy-Absorbing Crumple Technology) safety technology reduces the forces transmitted to a child in a collision using aluminum honeycomb deformable cores integrated into the car seat base. 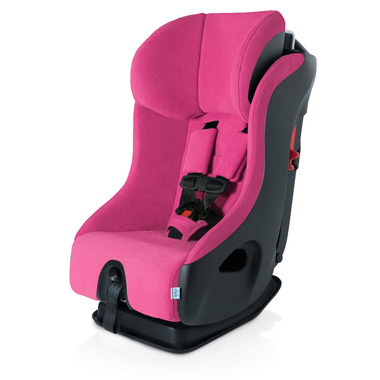 Add to your new Clek Fllo convertible car seat one of our many accessories. For your baby we have the Infant thingy, allowing a better fit for your newborn in the Fllo. The Mat-Thingy aids in protecting your car seat from compression damage. Our Drink-thingy gives your growing child a parking spot for their drink of choice. And our Weelee travel bag helps protect your Clek convertible car seat wherever you may go when traveling by plane, train and beyond. Please Note: This is the 2018 model. Please Note: Below images are shown in a different colour.